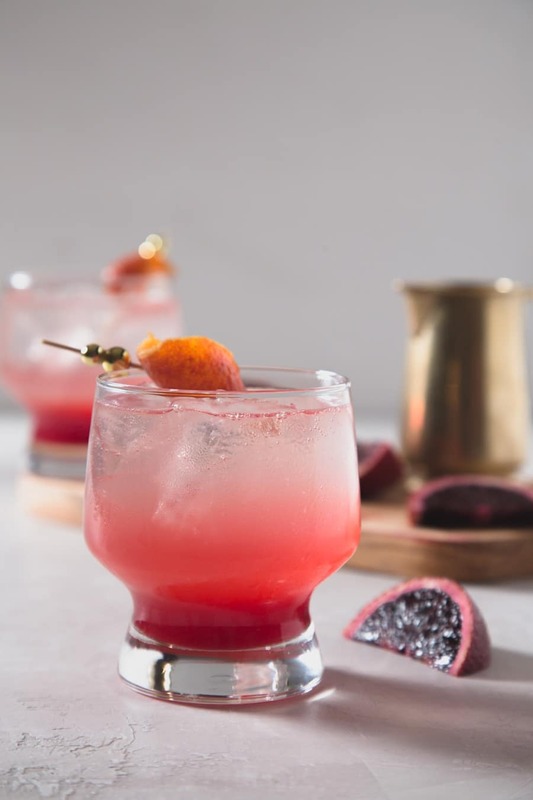 If you love citrus, you’ll love this Blood Orange Gin and Tonic. 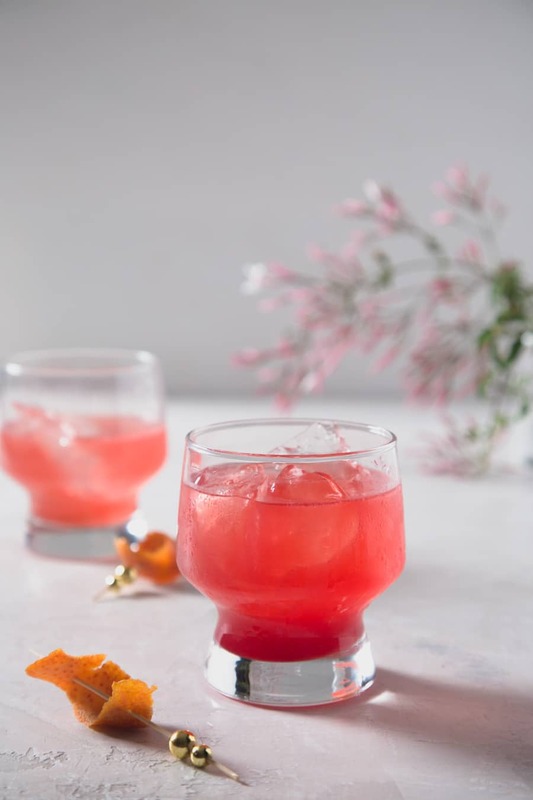 The blood oranges give this classic cocktail a fun twist and gorgeous color. The other day I really wanted a cocktail and figured that I would find something fun to make from the Savoy Cocktail Book (Do you have a copy yet? If not you need to get one). Flipping thru the book I came across the Gin and Tonic. Now I do love a plain old G&T, but I had a ton of blood oranges laying around from the Studio City Farmers Market and obviously had to use them up. The gorgeous red juice from one blood orange went into my standard G&T recipe, and with the first stip, I was dying. This Blood Orange Gin and Tonic is so effing delicious. It’s citrusy, bright and a little tart, I can’t get enough. I honestly need one every day. So, all the Blood Orange Gin and Tonics are happening at my house right now. If you come over I’ll whip one up for you! Gin and Tonic is a classic cocktail. I’ve read quite a few articles on its origins, and it has quite the history. Basically, British officers stationed in India during the 19th century would add gin to their ration of quinine heavy tonic. The gin was added to mellow the bitter flavor of the tonic (bitter from the quinine) and the quinine helped prevent and treat malaria. Now, I say it is quite the history because it involves British colonization, and if you want to read more about it, I suggest reading this article from Slate. Today, the amount of quinine in tonic is super low and adds a slightly bitter taste to cocktails. 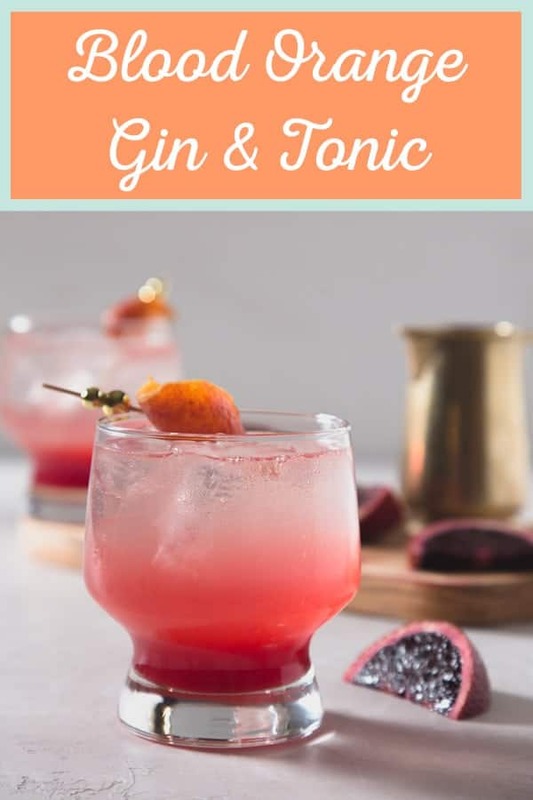 For this Blood Orange Gin and Tonic, I used a tonic syrup instead of tonic water. 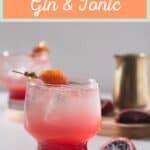 I LOVE using tonic syrups in cocktails because the quality is amazing. They add more complex flavors to cocktails than a standard tonic water. Plus, they don’t go flat. So you can have a bottle of tonic syrup for quite a while, perfect for all of those Blood Orange Gin and Tonics I know you’re going to make. Oh, and if you make this Blood Orange Gin and Tonic make sure to snap a pic, share it on Insta and tag me @cupofzest. I want to see what ya make! -In a cocktail like this with few ingredients, the quality of each ingredient is so important. Make sure to use high-quality products and good ice. 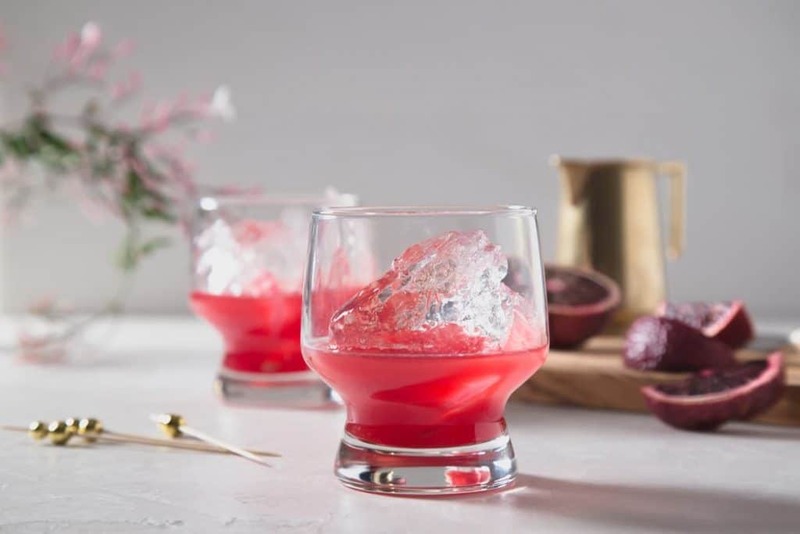 Like, if you make this cocktail with ice that’s been sitting in your freezer for months, your cocktail might taste like freezer burn, and that’s not delicious. -There are a few different tonic syrups on the market. I really like the Classic Tonic Syrup from Jack Rudy Cocktail Co. If you can’t find tonic syrup near you, a high-quality tonic water is a great substitute. 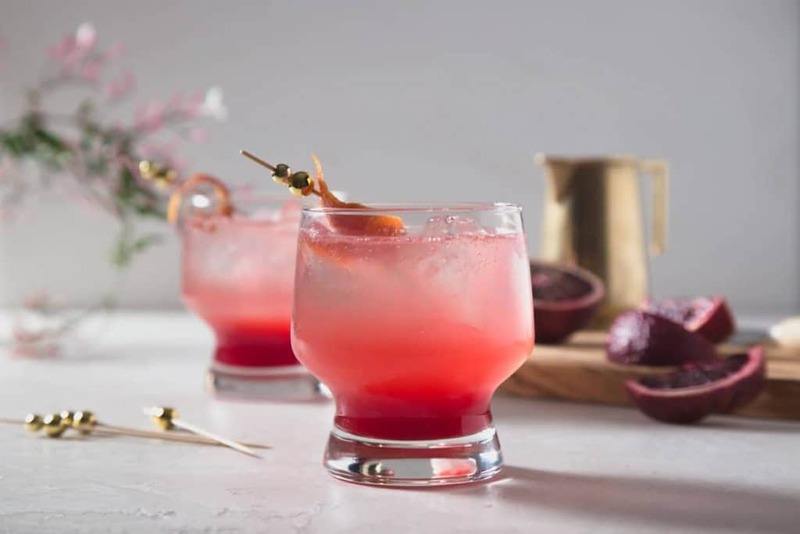 Blood oranges give the classic Gin and Tonic a lovely citrusy twist. It’s a delicious winter cocktail to drink with friends. Combine gin, tonic syrup, and the juice of one blood orange in a glass (preferably a highball glass, but use whatever you have). Fill with ice and stir. Top with club soda, garnish with a lime wedge, and drink up. I just tried this tonight and it is absolutely delicious!! 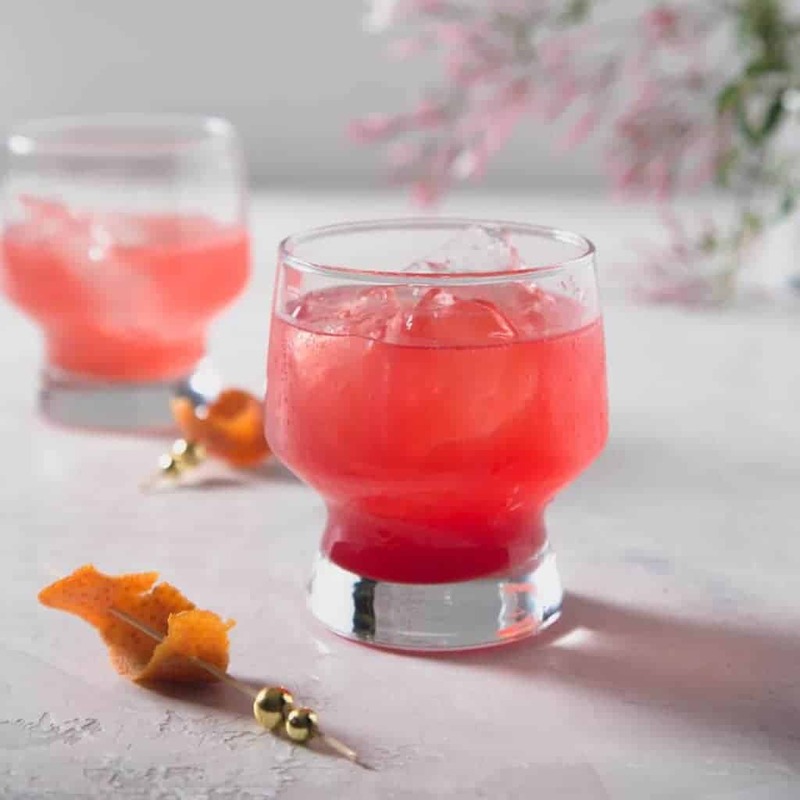 The herbal flavors of the gin complement the blood orange perfectly. Best drink I’ve had in a long while. Hello, darling! Invigorating reicpe. Just what I need after a hard days graft in the kitchen!